Autocross is fun. But there are a few drawbacks, primarily coming from loss of control and unintentionally plowing into things. 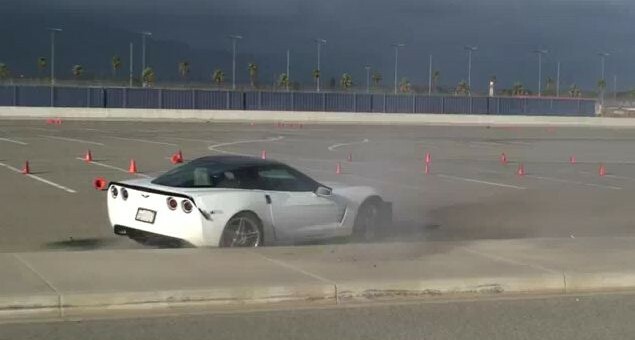 An excellent display of this example is displayed just below, as a white C6 Corvette takes a break from carving the road course, only to see what its like to kiss an unassuming curb at high speed. Try your best not to cringe. Previous story Cadillac Mulling Over Diesel Offering? At 0:55 is the man making sure the curb is alright? Lol it would appear so! Curbs have feelings, too! I’m still trying to find out what he was trying to do when he lost control. My question is who designe the course with an outside turn running into a curb. Good point, I was wondering that myself!